Content generation is about delivering much more than sales messages to your prospects. We help to create a wide variety of content, collaborating with our clients to generate attention-grabbing content. 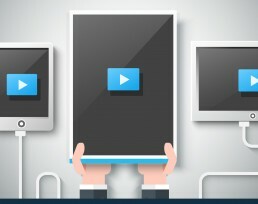 Interruption marketing techniques have declined in popularity, while content marketing is growing rapidly. It’s a strategic tactic that moves people through the buyer’s journey by providing valuable and relevant content to a targeted audience. 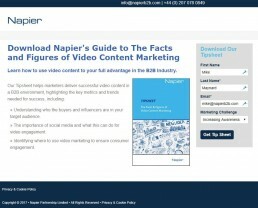 Napier’s B2B content marketing services enable clients to deliver creative and engaging content to drive a prospect through the sales funnel to maximise conversions. By utilising Napier’s content marketing services with our marketing automation, we can create an effective content marketing strategy and deliver results that significantly impact your lead generation campaigns. Content marketing for B2B companies is much more than simply generating white papers. In addition to identifying the right topics and generating the content, we help our clients get that content to their audience through seeding, promotion and SEO. We integrate marketing automation to ensure contacts downloading the content are captured and are nurtured to help them move from awareness to opportunity in less time. We work closely with clients to understand their business goals and the challenges facing their target audience. Our in-house technical expertise and our roster of experienced writers and designers means we produce high-quality written and visual content that is valued by prospects and customers. Our marketing automation expertise allows us to ensure we maximise the value of any content marketing campaign.